An exciting new series from ERS Game Studios, creators of PuppetShow, Grim Façade, and Spirits of Mystery! Ghosts of the Past: Bones of Meadows Town Collector's Edition is rated 3.5 out of 5 by 51. Rated 5 out of 5 by Kirland from Wow Fantastic Game! Another Winner By ERS Game was long. Beautiful scenes that ERS is famous for. Nice sound track. Great map that allowed you to instantly travel to the next scene. Good work ERS. This game had everything I like. Lots of mini-games. Some that took some time to work. 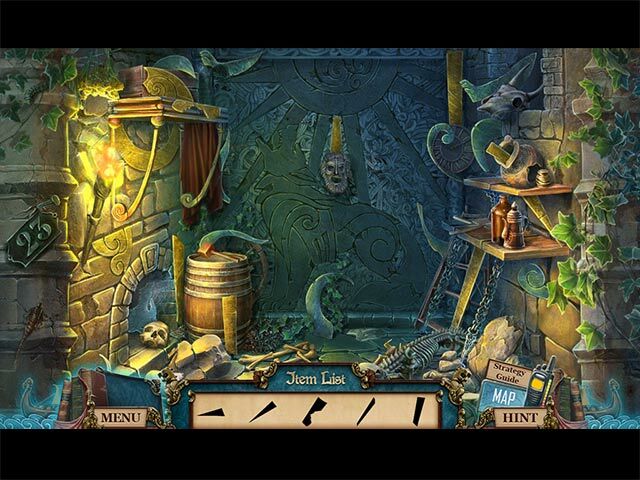 Hidden Objects were done very well. A few had me searching for a while. I thought the game was long and with lots of gameplay. For me that makes the game along with beautifully done scenes and lots of mini-games. The bonus game was just the right length. I loved the extras with the ability to replay the mini-games and hidden object scenes. You have my vote for one of the best games that I have played in a long time. Thank you. Rated 5 out of 5 by tutortime from Great Game. The CC edition is worth the money. Beautiful graphics and story line. Rated 5 out of 5 by snowbunny1977 from Surprised by reviews I was leery of getting this game because a lot of people didn't like it much. I actually really enjoyed it. It was challenging sometimes. Most of the puzzles were fairly easy. I liked how you can custom make your difficulty. Finding the runes was a lot of fun. Interesting story. Thank God for a map though! LOL. It is a rather long game and I played off and on a few days. Worth the half off I paid for it! Collectors are usually what I go for because of the Strategy Guide plus bonus content. So worth it! Rated 5 out of 5 by tekeguy from My Sleeper Game I had no intention of buying this game but selected it as an add-on to a collector's edition sale. In fact I didn't even get around to playing it until I exhausted games I actually purchased after this was downloaded into my account. This turned out to be a great game with a lot of variety and problem solving without simply running around to various scenes. I didn't give it any attention because it seemed too "fantasy" but that is far from the truth. Graphics were crisp and storyline well thought out. This gave me the longest gameplay hours without being bored of any game in a while---even the bonus chapter stood up to justifying the collector's edition price. Rated 5 out of 5 by sulia from Great game, and free! Got this game free as part of an offer, and I enjoyed it immensely. 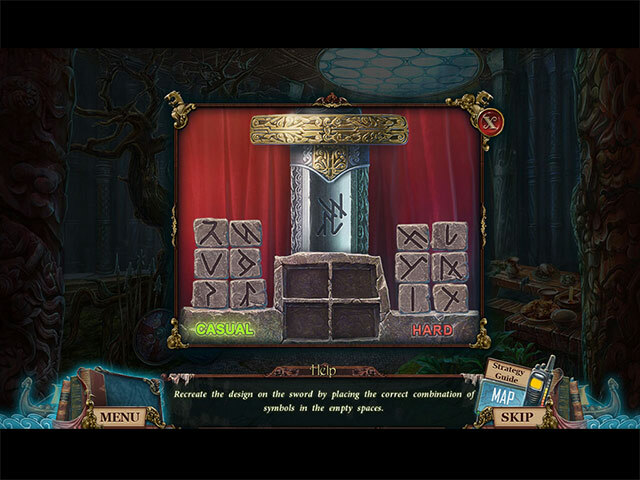 Not all of the puzzles have a reset option, which is mildly irritating, and yes, finding Vikings in the US is a bit weird, but apart from that it was great fun. There was only one puzzle that I had to skip, and that was near the end of the bonus game. Yes, you know who the bad guy is almost from the start, he's the sinister looking chap....Lots to do, an interactive map (always a plus for me) Can't understand the bad reviews, but each to their own. Rated 5 out of 5 by tucker_ratdog from Look Out For Them Bones!!! Again another winner from ERS!! Imagination with these Developers is just amazing. Story line is great, lots of action, creativity in the characters etc. I was impressed with this game because as a collectors edition it did not have a lot of distractions. Sometimes we are required to find morphing objects, collect items etc., which to me takes away from the involvement of the story and that being said to me detracts from the total enjoyment one should be experiencing. A game's superiority comes from how it captures its audience versus finding all the funky things that CE are famous for. In this game you can focus on what is happening and not worry about the number of collectables you need to find. Visuals are great, puzzles solvable without extreme frustration and creative HOS. In my opinion based solely on the demo, this game rocks!!! My one and only criticism is the silly (to me) voices that say "Yes" every time you accomplish something. This seems to be a speciality of ERS and I am befuddled as to why?? Despite that they remain a fav for me!! Two Thumbs Up, I hope you as well enjoy! Rated 5 out of 5 by Grumblygrunch2 from Way to go Big fish ! I really liked this game, a lot of different types of puzzles & the time flew by. I finished the demo well before the 90 minutes as It's not a difficult game, but I found it very enjoyable & will be buying it during the next Big fish sale ! Rated 5 out of 5 by timtim135 from Vikings and ghosts...OH MY! A couple months ago I got a beta sneak peek of this ERS title in my email, and it just blew my mind! (in a good way). The graphics were like in many ERS games that I bought were fantastic! I especially like the map to it, It's not only jumpable, but I love the legend on it. 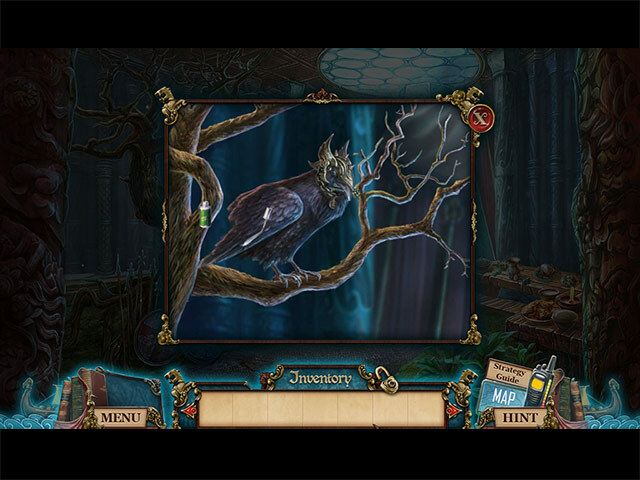 I usually tend to veer off the more scary creepy Hidden object games, but this game just spoke to me! I can't wait for this weekend sale. A definite Pick up for me!